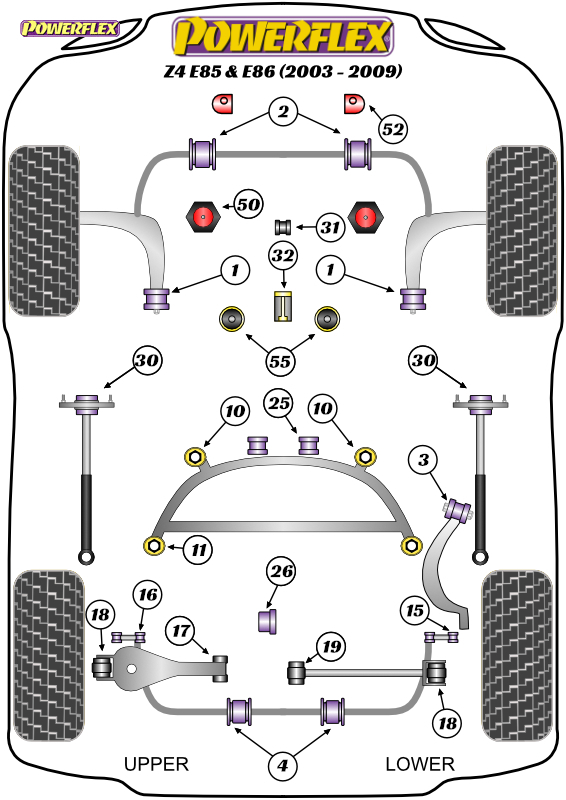 Suits cars with aftermarket rear shock absorber with a 12mm pin. Will not fit E36 and E46 Cabriolet models. Suspension BrandRear Shock Absorber Shaft DiameterOriginal BMW10mmAST10mmBilstein HD, Sport, PSS Coilovers10mmFK Coilovers10mmH&R Coilovers10mmJRZ RS12mmKoni Sport10mmKW V1, 2, 310mmST Coilovers10mmTein Coilovers12mmThe above list is meant as a guide only. If your shock absorber brand is not listed,measuring the OD of the shaft will determine whether PFR5-5630-10 orPFR5-5630-12 should be fitted.